1 Blemished Available: $74.96 This item is available as a Blem/Refurb. These are items that cannot be sold as "New" merchandise and are limited to stock on hand. See the product details for a description of the product's condition. The GMax OF77 Helmet is based off of the very successful GM67. It features the Spa Soft and CoolMax interior and multi-density cheek pads. The OF77 is like having two helmets in one. 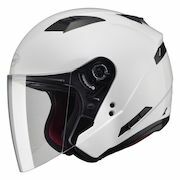 It offers the comfort of an open helmet, plus it quickly and easily converts to a full face helmet for those looking for increased protection and comfort with the installation of the optional jaw piece. DEVS adjustable Dual Exhaust Venting System, top, side and rear venting reduces fogging and sweating by allowing hot air to escape from the mouth area and top of head. I bought this Helmet for my 8 year old son. It fits him very good, but he says it's a little tight on the cheeks. I'd rather it be tight than loose. The flip down sun screen is great, but putting the main shield down is more of a two handed operation though. Overall, it's a fantastic buy. Price, Style and Functionality is why I would highly recommend this Helmet. I love it, comfortable fit. Well worth the money ! Lots of Wind Noise But Otherwise Great Helmet! I was concerned about measuring my head/ordering online but no worries. Per the measuring guidelines, it fits me perfectly. Love the flip down inner visor for sun and the snap on the chin strap to keep it from flapping in the wind. I'm a small guy so it looks BIG on me but I'm more concerned with protection than looking super cool. My solution? Inexpensive but very good ear plugs at Walmart. With all that being said, you can hardly go wrong at this price point. Removable liner for washing too! Not too bad a helmet, especially for the price. 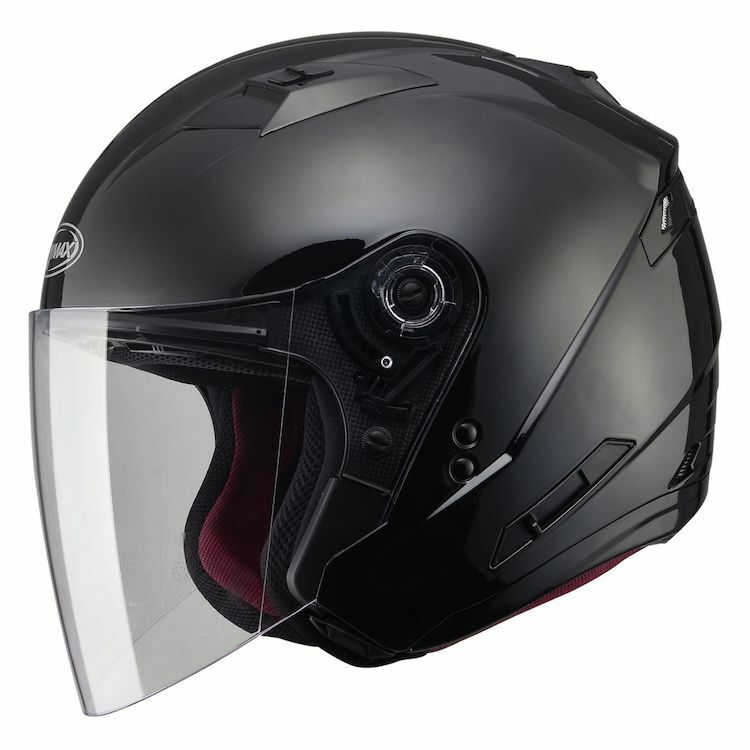 The positives: Great price, a lot of features and quality of build for the price, nice sunvisor built into the helmet, nicely removable lining for cleaning. Fit as size described. Decent airflow. Fogs easily only when it is raining although mostly below the eyesight area. Dries well and visor did not spot. Do not have a lot of experience with helmets but this one works pretty well for what I was looking for in a helmet. Pros great vision area. Cons noisy and fogs easily in rain while stopped. II really liked this helmet. However although it fit fine ear to ear, it was just too tight back to front and after receiving it and walking around the house for 30 minutes or so it began to give me a headache and left a dent in my forehead. Just too round for my melon. Will need to find a more oval helmet. I have a full faced helmet but looking for something to wear that was cooler on hot summer days. I ride a Victory Cross Country (Cruiser), own a Shubert C3 modular helmet. I wanted a helmet for hot summer riding in the desert southwest where I live. I have rode over 500 miles with this GMAX and I believe I can give a review on my purchase. I did purchase along with the helmet a Smoke tinted face shield. I bought the matte finish, looked nice out of the box, put I can’t get rid of smudge marks. Interior of the helmet is flimsy and it doesn’t stay in when you take off the helmet. In normal riding conditions, on the highway no wind, was great, with nice air circulation, wide field of vision even the sides, little to no buffeting, very light weight, interior sun visor has an easy to find lever to move up and down. I rode in extreme conditions, about 80 mph on the highway, with 40 mph winds, in 106f temperatures. Wind noise was too much, put in earplugs and then it was fine. Buffeting wasn’t bad considering the conditions probably because the helmets is so light. Nice air circulation kept my head cool even in 106f temperatures. CONS- no flange to move exterior face shield up or down, so you have to grab the shield to move it up and down. Chinstrap is very annoying the underneath padding slides on the strap, I think I might apply crazy glue to keep it in place; lastly the interior padding is very flimsy. For less than $100 this helmet served its purpose to keep my face and head cool in the hot desert summer, I don’t mind the small quirks. As said in the video, which I didn't hear until I ordered, these are ROUND helmets. I was looking for an intermediate oval shape and, when received, I thought it was too small so I started buying liners. Don't be like me, pay attention. Now I have $200 invested into a $90 helmet I can't stand. The pressure on my forehead is almost unbearable. I may still end up going to a local shop and being fitted for another brand. Fits comfortably and at a good price. I wanted something in between a half and a full face helmet and this was a great option. I like the built in sun shield and the convienience of not always needing sunglasses with me. Overall I am very happy with the helmet. Needed a Half Helmet, or 2. I own this product and am recommending it for my daughter. Great price at Revzilla! Matches my Black cycle and want to see if the open face helmet is more comfortable than my modular helmet. liked the looks! liked the price! I liked your review and the style and the color. I needed a 3XL helmet, and they had the best product for a first time helmet. Watch the video on the Gmax of77 candy red. It has all the features I was looking for as well as the Candy Red color. I liked the style and video showing how it is designed and used. Great late spring & summer helmet very comfortable. I chose it for the standard features but especially for the jaw piece option and brake light option. I also chose white for visibility. Looking for a 3/4 helmet for my passenger. This one seems to fit the bill and has the necessary accoutrements at a great price! It seems to be the helmet that fills my current riding needs. 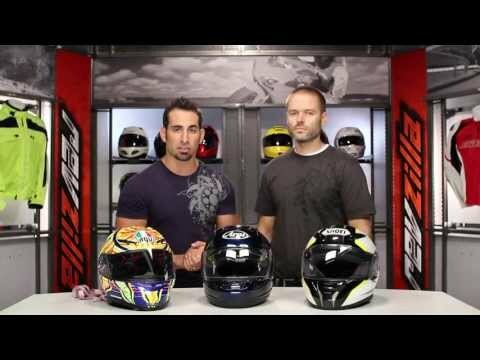 is the helmet oval or oblong? BEST ANSWER: My head is somewhere in between oval and oblong - and it fits perfectly. WHAT IS THE WEIGHT OF THIS HELMET (GMAX OF77)? will the peak from a gmax 67 work on the of77? Does the color match the 2008 Burgman 400 RED? Will a SENA unit mount to this helmet? BEST ANSWER: Mounting of anything is "Trying"
Does the GMax OF77 include an "installed short peak" and also a pivoting clear face shield like the GMaz GM-67?? I wear XL in Sedici helmets. Do these fit the same? Do they run small or large? or true to size? My OF77 runs true to size as my other helmets. I have never worn a Sedici so can't relate to theirs. Does the clear visor stay up and out of the way at high speeds or when riding into a strong wind? BEST ANSWER: Yes. The visor will remain up if you so choose. You can get more air flow by leaving it up with the internal down. Works well. A bit noisy but it is a three quarter helmet. I have had no problems upwards 70 MPH, I do wear glasses and it is a bit of a snug fit to get the sun visor over them but doable. I love my helmet. Can you use goggles with this helmet? BEST ANSWER: You cant because it has a visor that protects your face and goes all the way down to your chin. You can use glasses without a problem and maybe goggles if you improvise and take out the acrilic visor, but off course you loose all the protection to the face. I haven't tried because I use its windshield & fold-down sunscreen. But I don't see why not. Has GMax done away with the the Helmet Peak that came with all GMax GM67,s ? BEST ANSWER: The OF-77 has a low peak that is more pronounced at the center of the rear vent. Additionally there are 2 body lines on the sides at the top of the helmet. This is my first Ahmad helmet, so I don't know about the peak. I like the helmet I bought.